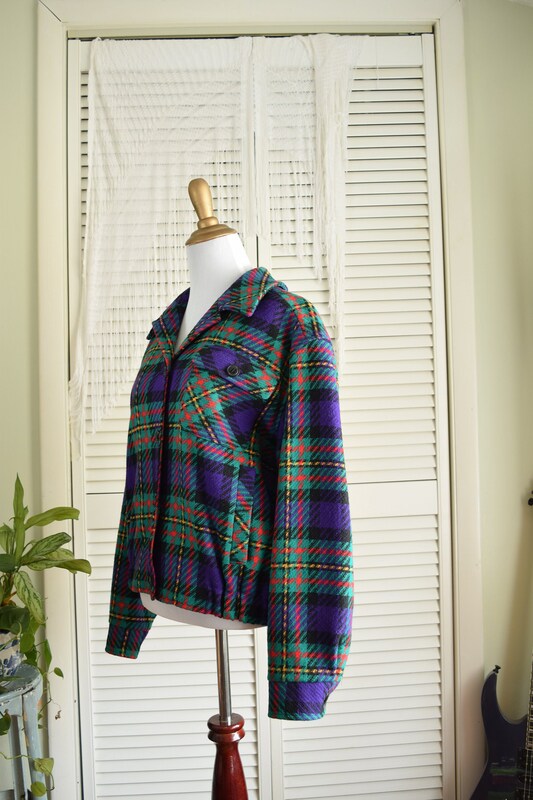 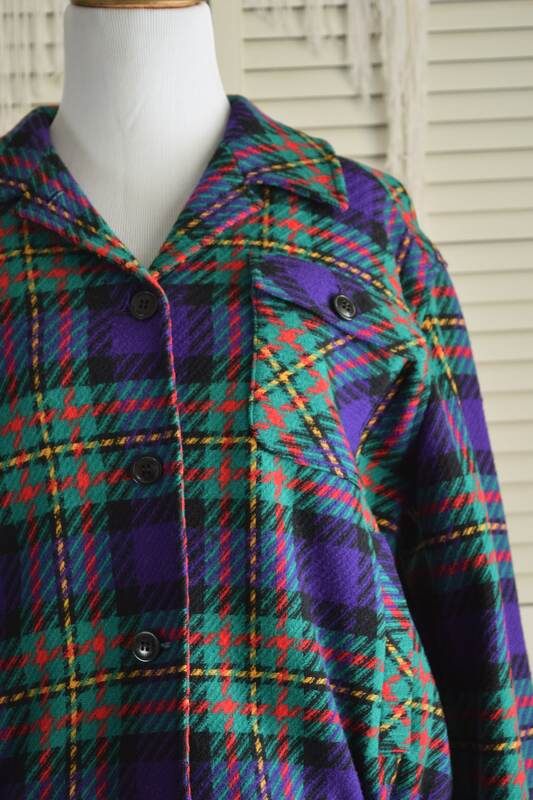 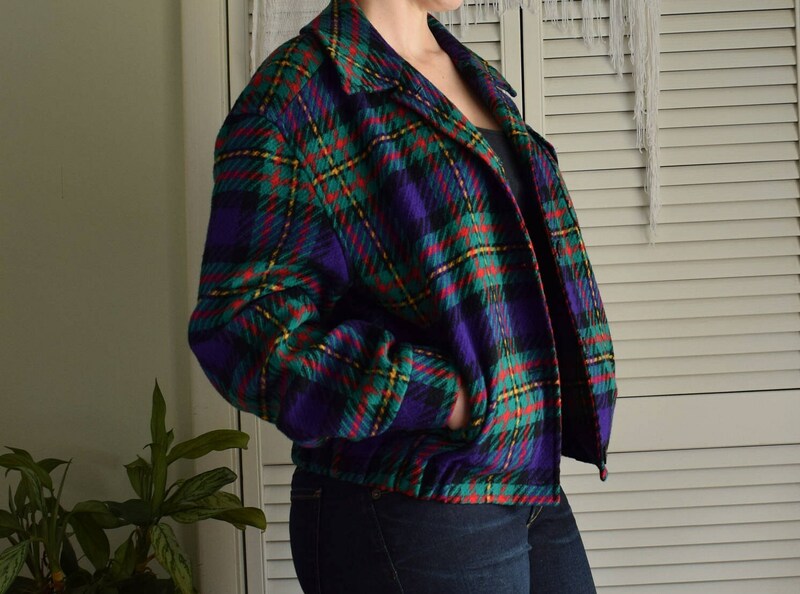 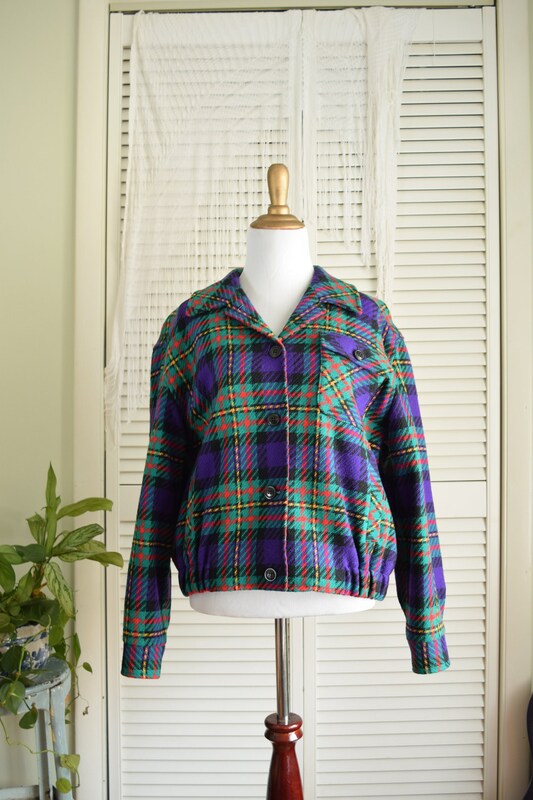 Bold and vibrant this Pendleton Jacket features purple and green plaid with red and golden yellow accents. 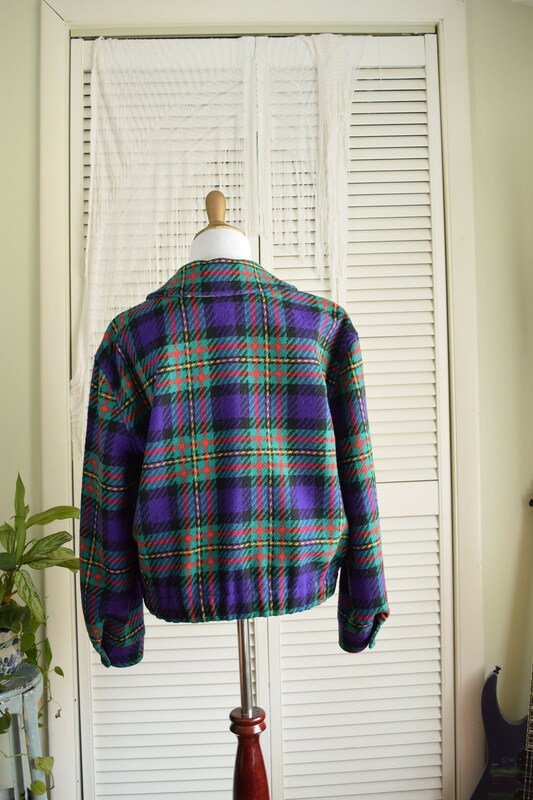 It is 100% wool with an elastic waist band for a comfy fit. 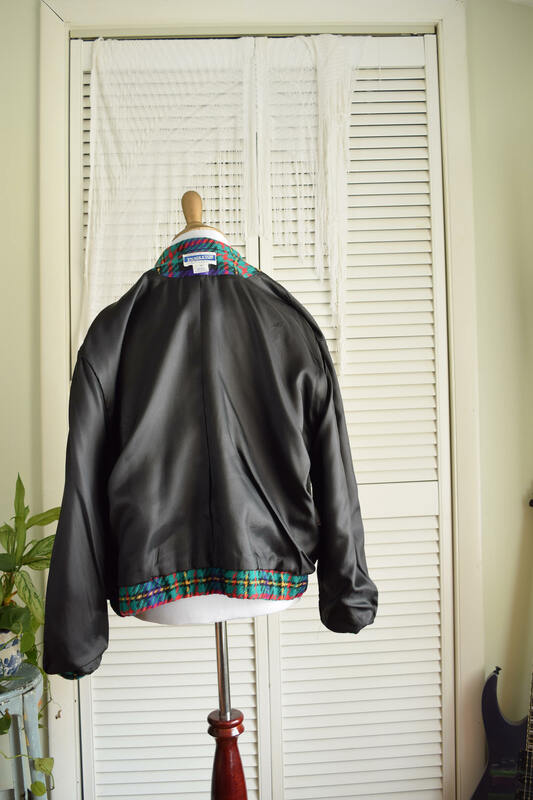 It is a Men's size Small, making it the perfect slouchy boyfriend fit for ladies. 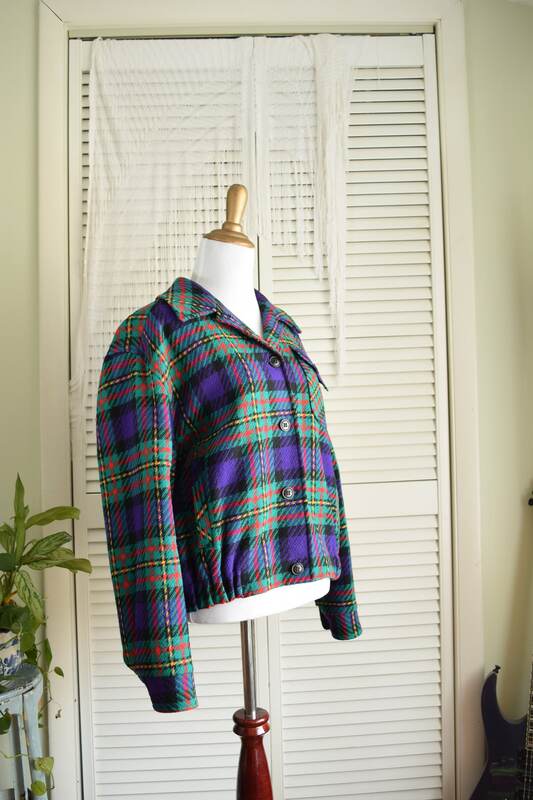 Condition: Good to Excellent previously owned condition. 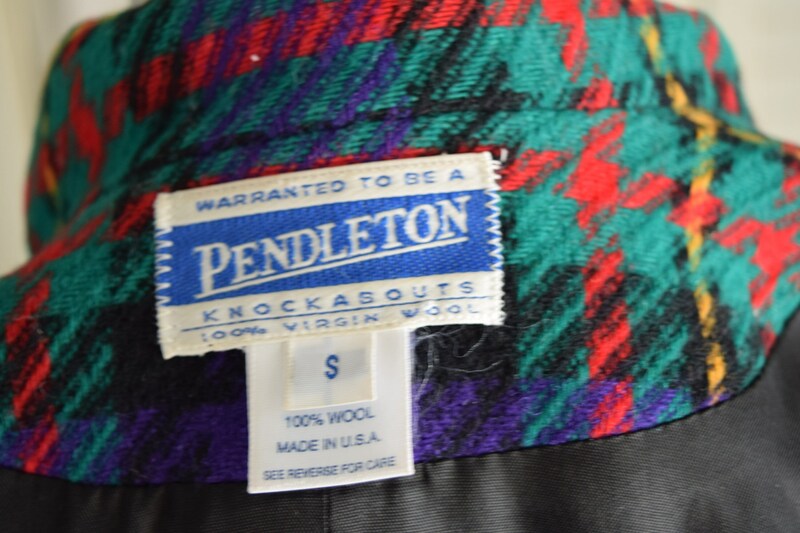 No major damages, and all original tags are present.